Hello everyone and welcome back to my blog! This past weekend my boyfriend and I decided to make a spur of the moment trip to a pumpkin patch because I was craving apple cider donuts. We ended up having such a fun time and since I took so many photos, I thought I would share our little adventure with you! 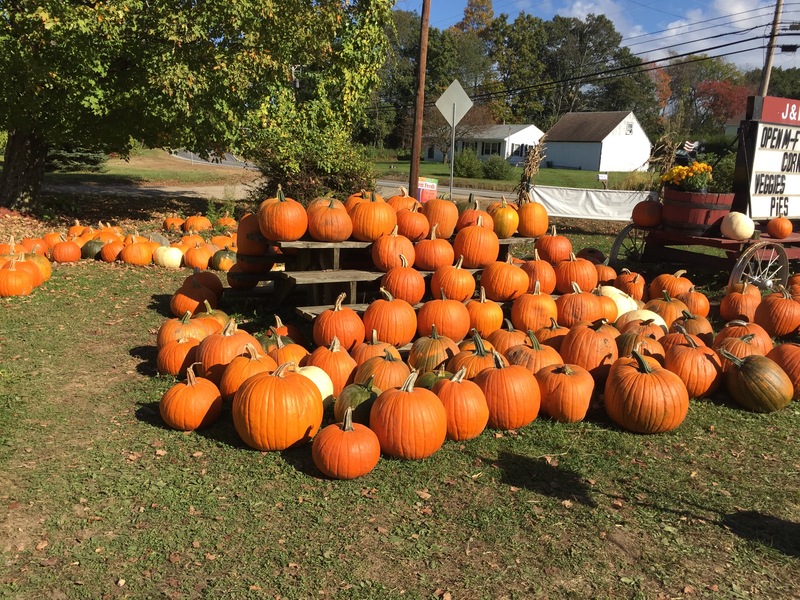 Check out our pumpkin patch fun below! 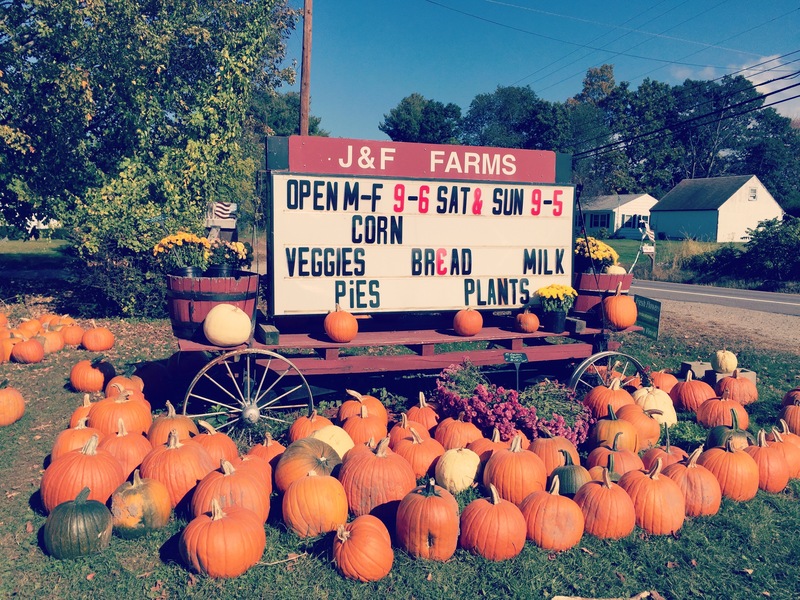 We did a little bit of research before we decided on which farm to head out to, and this farm in particular wasn’t too far from home, had a corn field, and most importantly, had apple cider donuts. It was super cute when we arrived and almost reminded me of a different farm in New Hampshire I went to a few years ago for decorations for my cousin’s wedding. It also had an abundance of pumpkins, which was awesome since it’s starting to get close to Halloween! 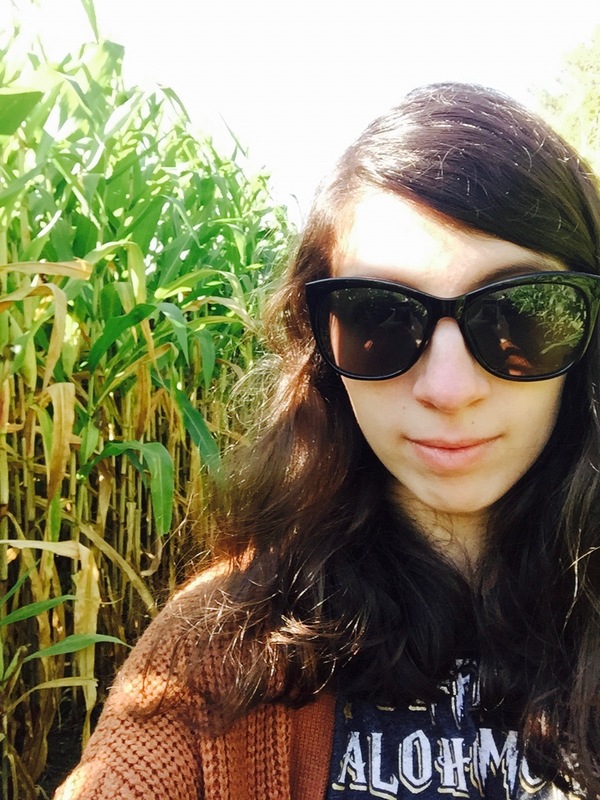 We started out doing the corn maze, which was a new experience for city-girl me, but it was actually really fun. I was honestly really surprised at just how tall corn can grow, I honestly thought it was just something in movies or tv shows that was over-exaggerated! We got lost quite a bit of the time, but we eventually figured out how to escape the corn and get to the real treasure, the donuts! 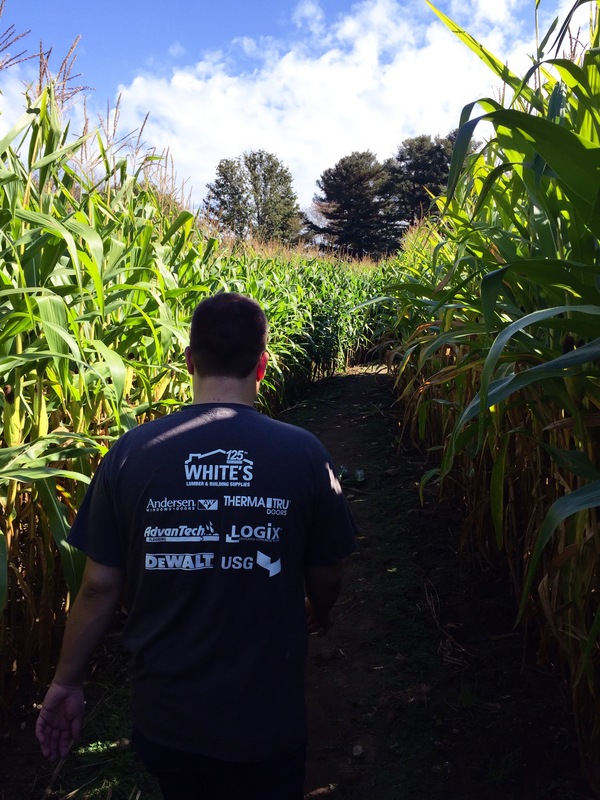 We had a lot of fun wandering through the maze, though it was pretty strange to hear the muffled voices of the other people in the corn maze. I mainly trailed behind my boyfriend, hoping not to lose him in the maze and get stuck on my own. Sidenote, it was super hot this day, which really did not mesh with my fall aesthetic outfit. For some reason this fall has been nearly in the eighties in New England and I’m really not enjoying this. There was also a neat little petting zoo, and also what I suspect was a children’s birthday party that we intruded on to pet some animals. I personally look forward to petting goats, because they are just super cute and have a ton of personality. 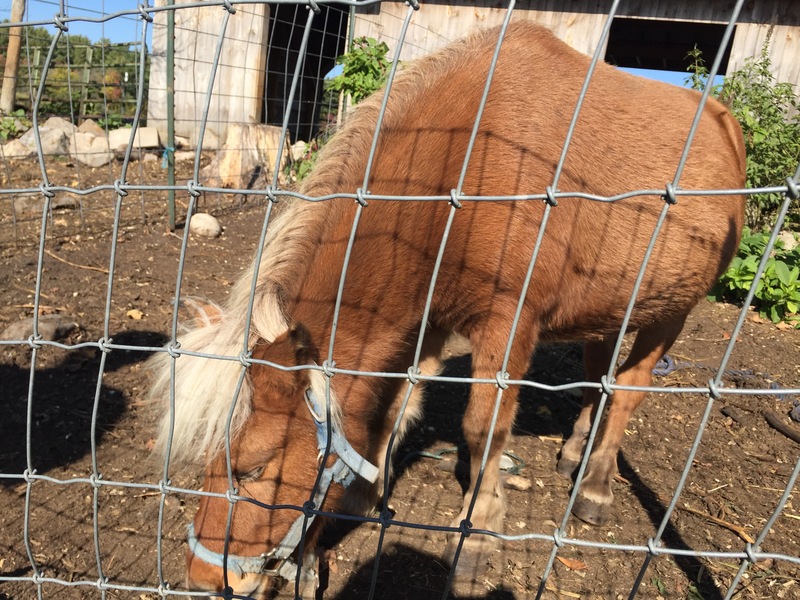 This mini horse reminded me of Lil’Sebastian from Parks and Rec! There was also a super nice cow that just wanted to be petted (or see if we had any animal feed). Overall it was a great little outing that ended with me eating three apple cider donuts and downing a small container of apple cider, in true New Englander fashion. We also grabbed a few pumpkins to decorate our apartment for fall, some corn to cook up for dinner, and a huge apple. I also managed to snag two really cute little gourds for my desk to really pump up the fall home decor! 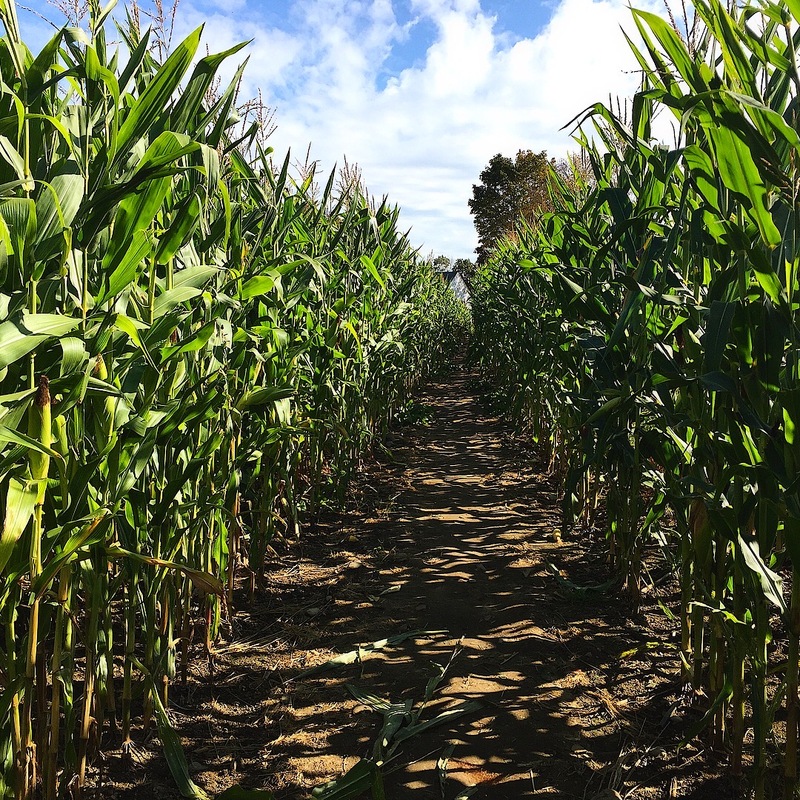 So there we have it folks, that was my fun little outing to stomp around in corn, get pricked by pumpkins, and eat way too much donuts; I love every minute of it! What fun fall activities have you done already? Let me know in the comments below! See you all next time!